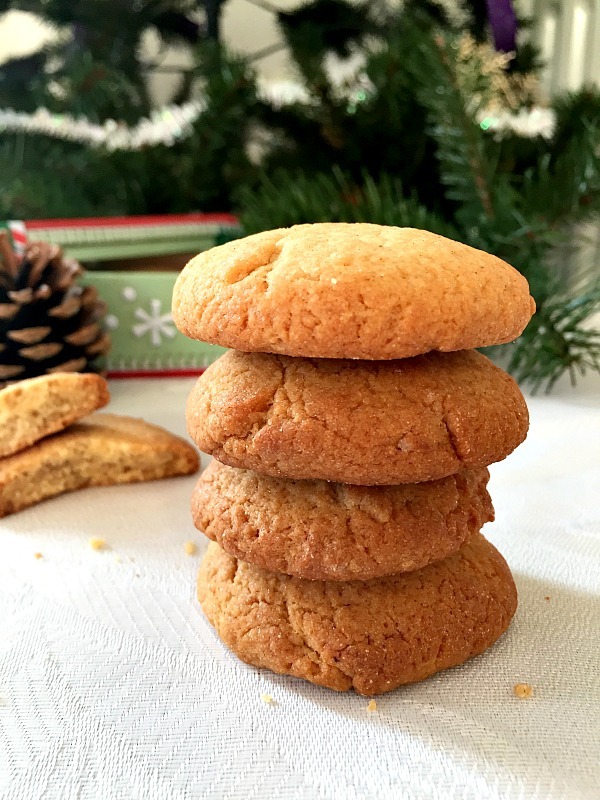 Gingersnap Cookies, also known as ginger cookies or gingernut cookies, a traditional Christmas cookie recipe that is so deliciously crunchy, flavourful and a favourite with little ones. They might look simple, but how good they are! It you haven’t got time to bake fancy gingerbread houses or other iced biscuits, these are a great alternative, everyone will love the taste. I would say that the old-fashinoned gingersnap cookies are a much more simple variation of the gingerbread cookies. Not quite sure why the British version is called gingernut cookies, as they do not contain nuts at all, so they are surely safe for people with nut allergies. The ginger flavour brings heat, but is not too sharp. Taken out of the oven, the cookies are soft and chewey, but once they cool down, they harden, and you can get that snap and a good crunch. 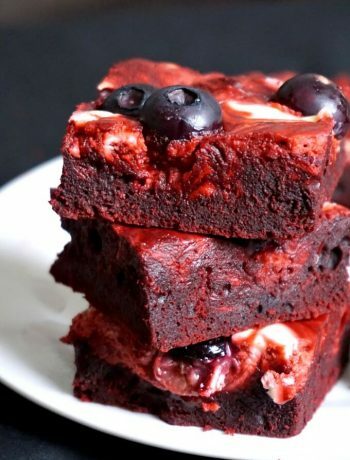 They really go well with a hot drink, be it your favourite tea, hot chocolate or coffee. Talking about hot chocolate, fancy a good homemade one? I’ve got the perfect recipe: Hot Chocolate with Marshmallows and Cream, way healthier and tastier than the one you buy. 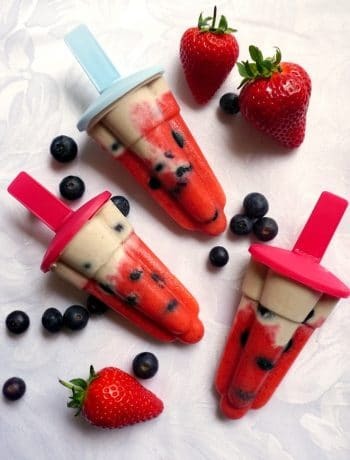 If you have kids, this is an easy recipe, so they can give a helping hand, they would love measuring the ingredients and mixing. And you really don’t need to worry about a perfect shape. I haven’t used cookie cutters, but preferred to shape the dough into small patties, and they turned out quite nicely. What about you? What are your favourite Christmas cookies? Am I the only on who finds the Christmas baking therapeutic? I absolutely love baking all sorts of sweet treats, not only to get me into the Christmas spirit, but also because it keeps me into such a good mood. Well, I guess cooking and baking in general give me that satisfaction that I do what I love best. Food is certainly more than filling the belly, and cooking it at home can be a fantastic experience. What are your favourite Chrismas cookies? 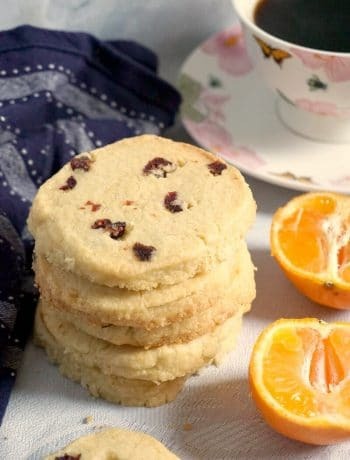 I also have these yummy Cranberry orange shortbreads that go down a treat evry single time I make them. If you’ve tried my GINGERSNAP COOKIES RECIPE or any other recipe on the blog then don’t forget to rate the recipe and let me know how you got on in the comments below, I love hearing from you! You can also FOLLOW ME on FACEBOOK, and PINTEREST to see more delicious food and what I’m getting up to. 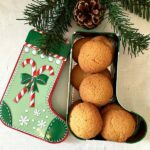 Gingersnap cookies recipe, a deliciously crunchy and flavourful Christmas cookie recipe to bring you into the Christmas atmosphere. Cut the butter into cubes and add it to a pan together with the golden syrup. Let it melt over a low heat, stir to combine well, then leave to cool for a bit. In a large bowl, sift the flour and add the sugar, ginger, the egg beaten lightly with a pinch of salt and the butter mixture. Mix all ingredients well until you get a soft dough. Line 2 baking trays with non-stick paper, then use your hand to shape patties out of the dough. Make sure you leave enough space between the patties, as they will spread while in the oven. Thanks so much for participating in this year’s Sweetest Season! I’ve loved seeing all the recipes, getting in the spirit and feeling inspired to bake EVERYTHING this month! Well done! Thank you, Erin! I enjoyed taking part in the Cookie Exchange!